4 Beds 2 Baths 2,803 Sq. ft.
Want new, but also want to be in an established Central Port Orange neighborhood by Spruce Creek High? 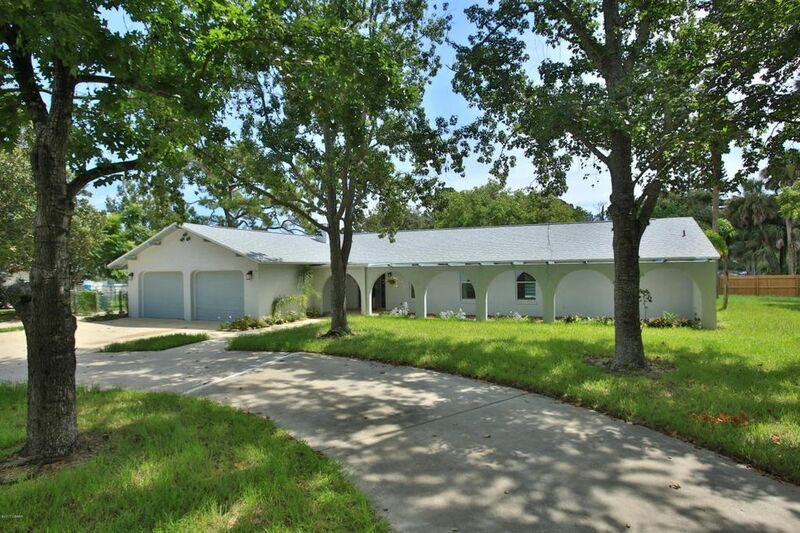 This 4 bedroom 2 bath home has: *NEW architectural shingle roof! * New Low E Double paned windows! * New kitchen cabinets, granite counter tops and appliances! New Bathrooms! New interior doors, flooring, fixtures! * NEW screened enclosure around pool that has new finish and new pool decking and highlighted with new LED lighting! * NEW SEPTIC TANK & FIELD with warranty! *NEW circuits & circuit panel! The upgrades & improvement list goes on & on! Ask Realtor for a copy of the complete list! All this plus a 780sq ft attached garage! She's situated on oversized lot with concrete recreational driveway on the N side of house for RV's, boats or utility trailers! BRING the BIG BOY TOYS!